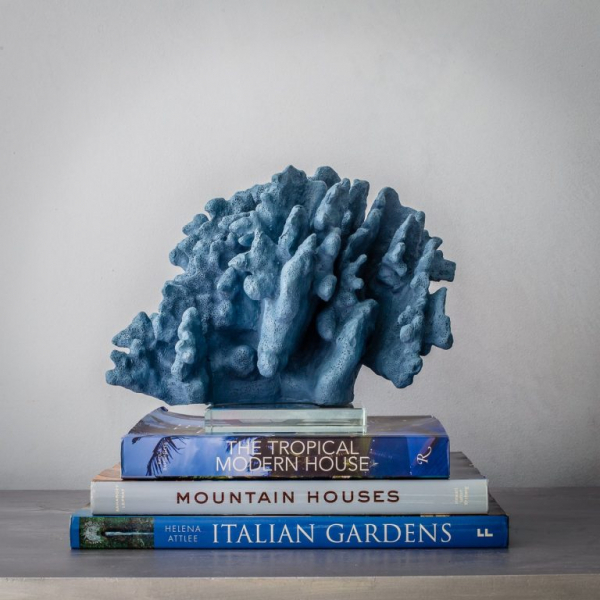 For thousands of years, the treasures from coral reefs - namely giant clams, corals and shells - have been reclaimed as objets d’art because their infinite variety in shape, colour, and pattern timelessly inspires. We, for one, are obsessed with these wild treasures of the sea, knowing full well that hunting for original, timeless home accessories to bring life to interior staging projects can feel like a never ending mission. But there’s a catch (pun intended): our big blue isn’t that big anymore. An insatiable appetite for the ocean's treasures means that coral reefs worldwide are suffering. There might not even be any left in a matter of years if we carry on at this rate. So that’s where Big Blue Company comes in. Born in 2016, we design and manufacture beautiful sea inspired pieces that will add organic elegance to a diverse range of styling projects without exploiting our oceans one little bit. We won’t tell any lies - our products are 100% “ingenuine” artefacts. And proud of it. No blurring of lines with environment compliance certificates and fighting with sustainability boards here. Our collection of replica giant clams, seashells and corals is crafted from sustainable materials, 3D technology, hand-finished in Asia and made with our love of the big blue… and several trips with a pair of flippers and a waterproof camera. We hope you enjoy being the first to know about our collection and look forward to sharing our journey with you. Join us on Facebook,Instagramand Pinterest for updates on our collection, conservation efforts and styling ideas. If you'd like to see our collection 'in the flesh' please contact us on +65 9382 5604 or +65 9126 2519 . We are based in Singapore but fly backwards and forwards to the UK regularly. Alternatively you can email us on sales@bigblueco.com. We look forward to hearing from you.